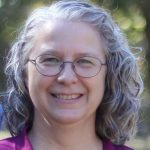 Heidi Chupp grew up as a missionary kid in South and Central America and then served as a stateside missionary before pursuing a writing career. She loves to use her words to share about what God is doing around the world. On a damp and wintry afternoon in Prague, Czech Republic, TEAM missionary Zach Harrod was running down the street — not for exercise, not to escape danger, but simply to go from one meeting to another. He and his wife, Míša, had just spent time with friends who were part of their support team. And now Zach had to hurry to his next meeting — football practice. The rest of the afternoon, Zach coached, recruited, hauled equipment between locations and led conditioning workouts and practices. Zach and Míša live with this interesting mix of ministry every day — helping plant churches in Prague and living out their faith in the American-style football community of the Czech Republic. Zach’s journey into sports ministry began with high school football and continued into college, where he lettered all four years. When he became a follower of Jesus, a desire for ministry grew in his heart. He served with Athletes in Action in the Czech Republic before transitioning to TEAM, where he began to invest more time in church planting while continuing his involvement in sports ministry. So what does sports ministry look like in real life? Sports ministry looks like sports. It’s focused and competitive. It’s training camps and conditioning. It’s an all-out effort to perform at the highest possible level and win. 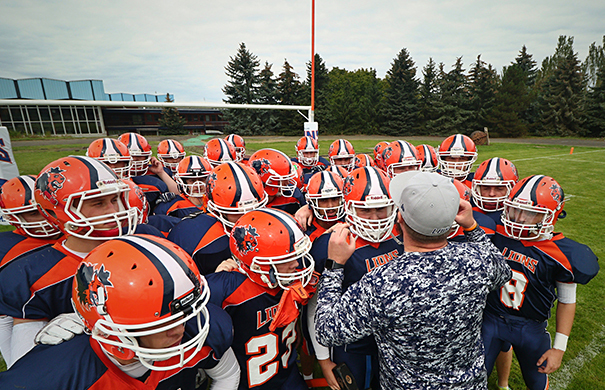 The Prague Lions have won numerous league championships under Zach’s coaching and mentorship. However, they’ve also faced defeat. One year, they lost the championship in the last two seconds, the result of a questionable call by one official. “It was awful,” Zach said. He cried on Míša’s shoulder afterward. “We worked so hard to get there,” he remembered. Sports ministry means investing in players and coaches to develop their talents. Zach regularly sends a few coaches to a series of sports clinics at U.S. universities. He also coordinates opportunities for players to travel to the States for football camps. Football could be considered a distraction from ministry. But for Zach, it is the ministry. It’s laid a foundation of trust and credibility. He’s discovered opportunities for real conversations, for long-lasting and meaningful friendships. So when opportunities come up to share the Good News, he speaks. He’s deliberate in building long-term relationships, in caring for people, in living out his faith. He organizes a team meal every year for the sole purpose of telling his players in a practical way that he loves them. Zach remembers instances when he’s lost his temper after a player’s poor performance on the field. His ready apology, something traditionally viewed as a sign of weakness in Czech culture, has made a huge impact on the team. Sometimes, just being a “normal person” is both relevant to the community and at the same time challenging to societal norms, even counter-cultural. Zach feels like an insider and an outsider all at the same time. Having lived in the country for more than a decade now, he considers the Czech Republic home — especially since he has a Czech wife — but he knows he will always be viewed as an American. He’s fluent in Czech and has a deep understanding of the culture, but he sees himself as a perpetual student. Zach has deliberately framed his team values within a traditional Czech cultural context. And the Prague Lions have been praised by the national media for their character and sportsmanship on the field. But his coaching style — focused on the positive and one building character and leadership — is vastly different than the approach usually taken by Czech coaches (who often treat their players harshly). 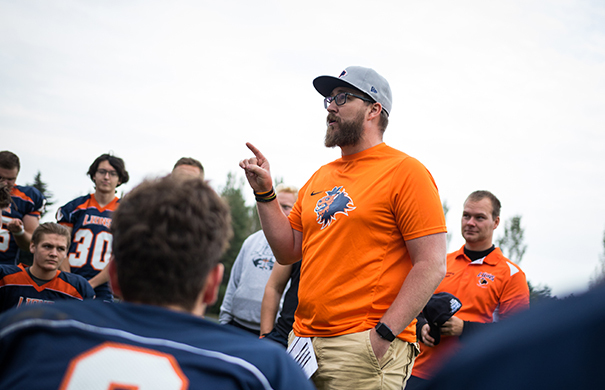 Zach’s involvement with the American football community in the Czech Republic gives him connections and access to a group of people that he wouldn’t have otherwise. But he’s also an unashamed Christian in a nation that’s one of the most atheistic and spiritually indifferent in the world. So, unless God directs otherwise, Zach plans to keep on running toward sports ministry. It’s a life he knows the Lord custom designed for him, and he has seen the value and the fruit in pursuing what he’s been gifted to do. Does the idea of pairing your hobbies and talents with missions excite you? If so, talk to a TEAM missions coach today!